Theanine is an amino acid not found naturally in food protein. It was isolated from the leaves of green tea by Y. Sakato in the late 1940s (1). It occurs naturally in the leaves of camelia sinensis in the amount of 0.9-3.1% of the dry weight of the leaves (2), C. japonica, C. sasanqua and in the mushroom Xerocomus badius (3). In tea leaves, l-theanine accounts for 50% of the total pool of amino acids contained in them. Amino acids contained in green tea, among others, l-theanine are responsible for giving it the so-called the “umami” taste (4). Biosynthesis of theanine takes place in the cotyledons, shoots and roots of tea plants from glutamic acid and ethylamine by an enzyme called ethylamine synthetase (5,6). In nature, theanine occurs mainly as an enantiomer of l-theanine. In mature plants, theanine biosynthesis occurs mainly in the roots, from where it is transferred, through the phloem, through the stem to the growing shoots, where it then accumulates in the developing leaves. In leaves, theanine can be hydrolysed back to the parent ingredients by exposure to sunlight and heat. Ethylamine, which is formed as a result of this reaction, is a precursor in the synthesis of catechins. As a result, theanine concentration is high in plants where the catechin concentration is low. Most often these are the types of plants growing in areas with low levels of insolation (6). The amount of l-theanine in the dry matter of tea is 1 – 3% and varies depending on many factors, such as the geographical area in which tea is produced, production techniques, tea class, type and harvest time, etc. Tea harvested at the beginning of the period summer has more l-theanine compared to the tea collected later in the summer. The effect of processing steps after tea harvest on l-theanine content is not fully understood. Some data suggest that white tea that is not subjected to fermentation and oxidation has higher levels of l-theanine compared to other types of tea (7, 8). In other studies, it turned out that green tea that is not fermented had similar levels of l-theanine with semi-fermented oolong tea and fermented black tea (7, 9) or that green tea had a lower level of l-theanine in compared to oolong and black tea (10). In yet another study, it turned out that 200 ml of black tea had higher levels of l-theanine compared to 200 ml of green tea (11). Although l-theanine is most often associated with green tea, it is present in a similar amount in other types of teas produced from Camelia sinensis, including black, white and oolong. The lack of a constant tea brewing process (temperature and brewing time, portion and amount of tea, etc.) results in the inability to determine a constant level of l-theanine (12). After oral administration, theanine is rapidly absorbed into the bloodstream by intestinal absorption and transported to the main organs of the body, including the brain. The maximum concentration of l-theanine in the bloodstream occurs between 30 and 120 minutes after ingestion (13). The amino acid is excreted in the urine, but is also catabolised under the influence of amide hydrolysis, giving glutamic acid and ethylamine, and then excreted from the body in the urine (13). We distinguish different types of brain waves: gamma, beta, alpha, theta, delta. L-theanine stimulates alpha brain waves that are associated with a calm, relaxed but alert state of mind (14). In addition, theanine increases the release of γ-aminobutyric acid (GABA), which in turn regulates levels of dopamine and serotonin in the brain (15). Several in vivo and epidemiological studies have shown that theanine intake can improve health and well-being through factors such as regulation of stress levels, improvement of teaching functions, prevention of cancer and cardiovascular diseases, promotion of weight loss and strengthening of the immune system. Theanine is an NMDA receptor antagonist, AMPA and kainate (53) (albeit with poor performance) and can inhibit the synaptic release of glutamate by blocking the transporter in a competitive manner (54). Theanine may also reduce glutamate levels, but it is also a fairly weak mechanism requiring high levels of theanine. Theanine consumption is related to the state of relaxation. Consumption of 200 mg of L-theanine dissolved in 100 ml of water resulted in an increase in brain α waves in volunteers aged 18 to 22 years (16). Consumption of 50 mg of l-theanine in the group of young volunteers also resulted in an increase in brain α waves (17). A similar effect was achieved by administering 200 mg of l-theanine dissolved in 100 ml of water in a group of female students (18). Consumption of 200 mg of l-theanine had some relaxing effect in resting conditions in male and female university students (19). Kimura et al (2007) found that 200 mg of L-theanine caused an increase in brain alpha waves, slowed heart rate and decreased IgA in saliva, which appear as a response to stress. In addition, compared to placebo, it was found that anxiety and subjective level of perceptual stress decreased in the l-theanine group (20). The 8-week-intake of l-theanine showed a beneficial effect on the state of depressive patients (50). Taking l-theanine, especially with caffeine, may contribute to the improvement of cognitive functions and learning abilities. In one study, the combination of l-theanine (250 mg) and caffeine (150 mg) improved response time, working memory and task verification accuracy in the group of volunteers aged 18-34 (21). In another work, the combination of 100 mg of l-theanine and 50 mg of caffeine improved the speed and accuracy in performing activities requiring a change of attention of 60 minutes. after taking l-theanine and reduced the susceptibility to information dispersal in memory tasks after 60 and 90 minutes after administration (22). Gomes-Ramirez et al. (2007) noted that ingestion of 250 mg of L-theanine increased the difference between the effects of visual and auditory stimuli on α-wave activity within the temporo-occipital part (23). Another study performed on 14 participants was l-theanine (200 mg), caffeine (100 mg) or placebo. At the end of the study, it turned out that l-theanine not only reduces anxiety, but also relieves the increase in blood pressure in adults with high levels of stress (24). A meta-analysis by Camfield et al. (2014) collected 11 randomized placebo-controlled studies in humans in which the effects of l-theanine alone were examined, or in combination with caffeine for cognitive abilities and emotional state. Both 1 hour and 2 hours after taking l-theanine with caffeine, the attention and emotional state of the study participants improved (27). Furthermore, it is believed that theanine may provide prophylaxis and treatment of Alzheimer’s disease because it has been proven to exert neuroprotective effects by inhibition of N-methyl-D-aspartate (NMDA) subtype receptors and associated pathways in transgenic neuronal cells (25). It was also found that l-theanine increases the level of mRNA for neurotrophins by activating the inhibitor system and supports the development of brain function (26). In the mouse study, l-theanine reduced Aβ1-42 levels and associated cell death. In addition, it inhibited the activity of the extracellular regulatory (ERK) kinase induced by Aβ1-42 and mitogen activated protein kinase (MAPK) p38 together with the kappa b nuclear factor (NF-κB). L-theanine reduced the oxidation of proteins and lipids and increased the level of glutathione in the brain. it has been proven that l-theanine can have a positive effect on memory and a positive effect on the treatment and prevention of Alzheimer’s disease (28). Individual studies bind l-theanine with cancer prevention. Liu et al. (2009) have shown that l-theanine inhibits the growth of lung cancer and leukemia cells in vivo and in vitro (29). Friedman et al. (2007) observed that theanine intake was associated with the induction of apoptosis in four breast, colon, liver and prostate cancer cell lines (30). In addition to increased antitumor activity, theanine may reduce the adverse effects of the antitumor drug doxorubicin, providing protection against damage caused by doxorubicin in normal tissue (31). It also acts as a biochemical modulator to improve the therapeutic efficacy of doxorubicin by suppressing the drug outflow from tumor cells, thereby increasing the effective concentration of doxorubicin in tissue (32). In the paper Nagai and Konishi (2013), they noted that l-theanine, given with doxorubicin, suppressed metastasis of liver cancer cells (33). The research suggests that tea consumption widens blood vessels and reduces the risk of cardiovascular disease by increasing the production of nitric oxide (NO) in the vascular endothelium. In an in vitro study, it was observed that the application of l-theanine increased NO production through ERK / eNOS activation and caused vasodilatation in the arteries (34). Another mechanism responsible for the drop in blood pressure after ingestion of l-theanine is the induction of brain alpha waves and the effect on the secretion of neurotransmitters (20). L-theanine, like the flavonoids contained in tea, reduces oxidation of LDL (35). In humans, it was also found that the intake of a single dose of 200 mg of theanine lowers blood pressure, and more importantly, theanine reduces the negative effect of caffeine on the increase in blood pressure when the latter was consumed in a single dose of 250 mg (36). L-theanine may improve the quality of sleep and is often used as a supplement for this purpose. 400 mg of L-theanine daily was found to be safe and effective in improving some aspects of sleep quality in boys with ADHD. Because sleep problems are a common complaint accompanying ADHD, l-theanine can be a safe and important supportive therapy in childhood ADHD. Greater, long-term research in this area is desirable (37). It was found that l-theanine may inhibit caffeine-stimulating action in the aspect of sleep problems. In the study, rats were treated with caffeine and l-theanine at various doses of 22.5, 37.5, 75 or 150 mg / kg, and neither doses of 75 and 150 mg / kg nor 22.5 and 37.5 mg were administered. / kg did not reduce caffeine-stimulated vigilance, but l-theanine partially reversed the decline in slow-sleep sleep (38). L-theanine may affect suppression of animals’ appetite (39, 40), however, no studies describing this property in humans have been published so far. This is probably related to the modulation of the level of neurotransmitters such as serotonin and dopamine (40). Combinations of l-theanine with other bioactive ingredients have a beneficial effect on reducing the risk of colds. In a double-blind RCT, 378 mg / day catechins of green tea and 210 mg / day of l-theanine were administered to subjects for a period of 5 months. Finally, it was found that in the catechin / l-theanine group the incidence was lower (4.1%) than the placebo group (13.1%). In the light of these results, it has been found that EGCG and l-theanine can be used in the prevention of colds and flu (41). In another DB-RCT, 176 male subjects were given a capsule with a mixture of either 1-cysteine ​​and 1-theanine (490 mg) 2 times daily for 35 days or placebo. Finally, the incidence of cold in the l-cysteine ​​and l-theanine group was lower compared to the placebo group, and the disease period was the same for both groups (42). Co-administration of l-theanine (280 mg) and cysteine ​​(700 mg) weakened the increase in the number of neutrophils and the decrease in the number of lymphocytes during exercise in 16 athletes (43). Co-administration of theanine (280 mg) and cysteine ​​(700 mg) before vaccination enhanced the immune response to influenza vaccine in the elderly with low total protein or serum hemoglobin (44). Co-administration of l-theanine (280 mg) and cysteine ​​(700 mg) for 2 weeks restored normal NK cell activity in well-trained men (45). Co-administration of l-theanine (280 mg) and cysteine ​​(700 mg) reduced neutrophil counts, maintained low levels of hs-CRP and prevented lymphocyte depletion after endurance training compared to placebo in trained subjects (46). Theanine occurs in nature mainly as an enantiomer of l-theanine, and in synthetic form it can exist as a racemic mixture of d- and l-thean enantiomers. On the market you will also find her patented TaySun’s Suntheanine ™ form. There are a limited number of studies on the efficacy of l-theanine enantiomers (d-l-theanine) in the literature. Desai et al. (2005) evaluated the pharmacokinetics of l-theanine and d, l-theanine (racemic mixture) in plasma and urine samples of rats. The d-1-theanine absorption reported from the experiment was less than that of l-theanine alone after oral administration (51). There is no research on humans regarding the effectiveness of various enantiomers (52). It is assumed that the use of l-theanine in high doses along with the diet is safe. As a result of toxicity and mutagenicity studies conducted by the Japan Food Additives Association, Suntheanine ™ was considered safe. At present, no limits are proposed for the consumption of l-theanine by the Japan Food Additives Association (47). It has been found that l-theanine has no toxic effects on animals or humans. In a rodent toxicity study, it was found that taking 4,000 mg of l-theanine per kg of body weight for 90 days was safe, and kidney damage that occurred in 3 rodents was more associated with genetic predisposition than with direct toxicity. Another study investigated the safety of l-theanine (Suntheanine ™) depending on the dose. Female rats were given 0, 1500, 3000 or 4000 mg / kg body weight for 13 weeks. No pathological changes were recorded (49). In 2011. The FDA suggested that the daily consumption of l-theanine should not exceed 1200 mg (48). To sum up, l-theanine is a very interesting amino acid with a pleiotropic pro-health effect. It has a positive effect on stress reduction, mood improvement and cognitive skills. It finds its application even in the prevention of diseases of the cardiovascular system and cancer. It promotes weight loss and supports the immune system. She is very safe at all. Further tests are needed to verify the properties of this amino acid in clinical use. 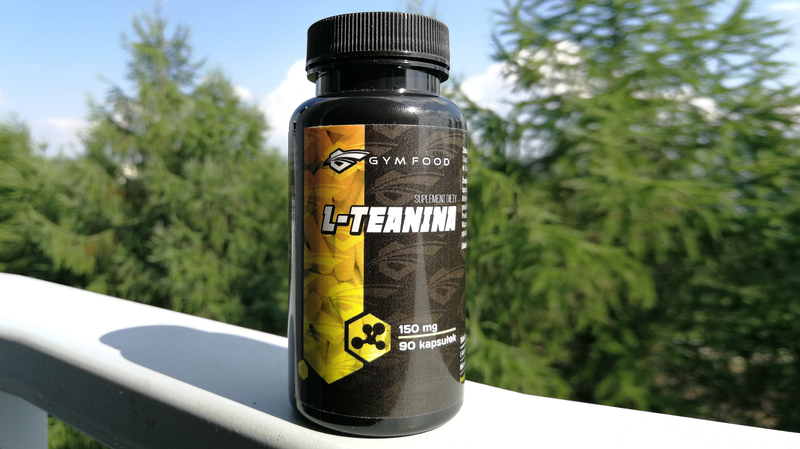 The gold standard for supporting reaction time, concentration and cognitive functions is the combination of l-theanine and caffeine in a 2: 1 ratio. L-theanine synergizes with caffeine, streamlining and harmonizing its action, and eliminating some of the side effects associated with caffeine overdose. Sakato, Y. (1949) The Chemical Constituents of Tea: A New Amide Theanine. Journal of Agricultural and Food Chemistry, 23, 262-267. Juneja LR, Chu DC, Okubo T, Nagato Y and Yokogoshi H, L-Theanine – a unique amino acid of green tea and its relaxation effect in humans. 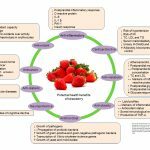 Trends Food Sci Technol 10:199–204 (1999). L-Theanine elicits umami taste via the T1R1 + T1R3 umami taste receptor. Narukawa M, Toda Y, Nakagita T, Hayashi Y, Misaka T. Amino Acids. 2014 Jun;46(6):1583-7. doi: 10.1007/s00726-014-1713-3. Epub 2014 Mar 15. Deng WW, OgitaS and AshiharaH, Biosynthesis of theanine (γethylamino-l-glutamic acid) in seedlings of Camellia sinensis. PhytochemLett 1:115–119 (2008). Differentiation of green, white, black, Oolong, and Pu-erh teas according to their free amino acids content. Alcázar A, Ballesteros O, Jurado JM, Pablos F, Martín MJ, Vilches JL, Navalón A. J Agric Food Chem. 2007 Jul 25;55(15):5960-5. Epub 2007 Jun 27. Zhao, M., Ma, Y., Wei, Z.Z., Yuan, W.X., Li, Y.L., Zhang, C.H., Xue, X.T., Zhou, H.J. (2011). Determination and comparison of gamma-aminobutyric acid (GABA) content in pu-erh and other types of Chinese tea. J Agric Food Chem 59(8): 3641-8. Ying, Y., Ho, J.W., Chen, Z.Y., Wang, J. (2005). Analysis of theanine in tea leaves by HPLC with fluorescence detection. Journal of liquid chromatography&related technologies 28(5): 727-37. Ekborg-Ott, K.H., Taylor, A., Armstrong, D.W. (1997). Varietal differences in the total and enantiomeric composition of theanine in tea. J Agric Food Chem 45(2): 353-63. Keenan, E.K., Finnie, M.D.A., Jones, P.S., Rogers, P.J., Priestley, C.M. (2011). How much theanine in a cup of tea? Effects of tea type and method of preparation. Food Chem 125(2): 588-94. Bryan, J. (2008). Psychological effects of dietary components of tea: caffeine and L‐theanine. Nutrition reviews 66(2): 82-90. TerashimaT, TakidoJ and YokogoshiH, Time-dependent changes of aminoacidsintheserum,liver,brainandurineofratsadministered withtheanine.BiosciBiotechnolBiochem 63:615–618 (1999). Cooper R, Morr´e DJ and Morr´e DM, Medicinal beneﬁts of green tea: Part I. Review of noncancer health beneﬁts. J Altern Complement Med 11:521–528 (2005). R, 200 mg of Zen: L-theanine boosts alpha waves, promotes alertrelaxation.AlternComplementTher 7:91–95 (2001). Juneja LR,Chu DC,Okubo T,Nagato Y and Yokogoshi H,L-Theanine–a uniqueaminoacidofgreenteaanditsrelaxationeffectinhumans. 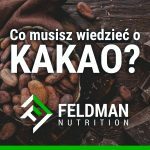 TrendsFoodSciTechnol 10:199–204 (1999). NobreAC, RaoA and OwenGN, L-theanine, a natural constituent in tea, and its effect on mental state. Asia Pac J Clin Nutr 17:167–168 (2008). KobayashiK, Nagato Y, Aoi N, JunejaLR, KimM, YamamotoT, etal, Effects of L-theanine on the release of α-brain waves in human volunteers.NipponNogeiKagakukaishi 72:153–157 (1998). LuK, GrayMA, OliverC, LileyDT, HarrisonBJ, BartholomeuszCF, etal, The acute effects of L-theanine in comparison with alprazolam on anticipatory anxiety in humans. Hum Psychopharmacol Clin 19:457–465 (2004). Kimura K, Ozeki M, Juneja LR and Ohira H, L-Theanine reduces psychological and physiological stress responses. Biol Psychol 74:39–45 (2007). HaskellCF, KennedyDO, MilneAL, WesnesKA and ScholeyAB, The effects of L-theanine, caffeine and their combination on cognition and mood. Biol Psychol 77:113–122 (2008). OwenGN, ParnellH, BruinEAD and RycroftJA, The combined effects of L-theanine and caffeine on cognitive performance and mood. NutrNeurosci 11:193–198 (2008). Gomez-RamirezM, HigginsBA, RycroftJA, OwenGN, MahoneyJ, ShapenerM, etal, The deployment of intersensory selective attention:Ahigh-densityelectricalmapping study of the effectsof theanine.ClinNeuropharmacol 30:25–38 (2007). Effects of L-theanine or caffeine intake on changes in blood pressure under physical and psychological stresses. Ai Yoto, Mao Motoki, Sato Murao, and Hidehiko Yokogoshi, J Physiol Anthropol. 2012; 31(1): 28.Published online 2012 Oct 29. DiX, YanJ, ZhaoY, ZhangJ, ShiZ, ChangY, etal, L-Theanine protects the APP (Swedish mutation) transgenic SH-SY5Y cell against glutamate-induced excitotoxicity via inhibition of the NMDA receptorpathway.Neuroscience 18:778–786 (2010). Theanine, r-glutamylethylamide, increases neurotransmission concentrations and neurotrophin mRNA levels in the brain during lactation. Yamada T, Terashima T, Wada K, Ueda S, Ito M, Okubo T, Juneja LR, Yokogoshi H. Life Sci. 2007 Sep 29;81(16):1247-55. Epub 2007 Aug 31. Acute effects of tea constituents L-theanine, caffeine, and epigallocatechin gallate on cognitive function and mood: a systematic review and meta-analysis. Camfield DA, Stough C, Farrimond J, Scholey AB. Nutr Rev. 2014 Aug;72(8):507-22. doi: 10.1111/nure.12120. Epub 2014 Jun 19. Review. l-Theanine, an amino acid in green tea, attenuates beta-amyloid-induced cognitive dysfunction and neurotoxicity: reduction in oxidative damage and inactivation of ERK/p38 kinase and NF-kappaB pathways. Kim TI, Lee YK, Park SG, Choi IS, Ban JO, Park HK, Nam SY, Yun YW, Han SB, Oh KW, Hong JT. Free Radic Biol Med. 2009 Dec 1;47(11):1601-10. doi: 10.1016/j.freeradbiomed.2009.09.008. Epub 2009 Sep 16. Liu Q, DuanH, LuanJ, Yagasaki K and ZhangG, Effects of theanine on growth of human lung cancer and leukemia cells as well as migration and invasion of human lung cancer cells.Cytotechnology 59:211–217 (2009). Friedman M, Mackey BE, Kim HJ, Lee IS, Lee KR, Lee SU, etal, Structure–activity relationships of tea compounds against human cancercells.JAgricFoodChem55:243–253 (2007). SugiyamaT and Sadzuka Y, Theanine, a speciﬁc glutamate derivative in green tea, reduces the adverse reactions of doxorubicin by changingtheglutathionelevel.CancerLett 212:177–184 (2004). Sadzuka Y, Sugiyama T, Suzuki T and SonobeT, Enhancement of the activity of doxorubicin by inhibition of glutamate transporter. ToxicolLett 123:159–167 (2001). Nagai, K., Konishi, H. (2013). Protection of theanine against doxorubicin-induced acute cardiac toxicity. Biomedicine & Preventive Nutrition 3(2): 197-9. Siamwala, J.H., Dias, P.M., Majumder, S., Joshi, M.K., Sinkar, V.P., Banerjee, G., Chatterjee S. (2013). L-theanine promotes nitric oxide production in endothelial cells through eNOS phosphorylation. J Nutr Biochem 24(3): 595-605. Fraser, M.L., Mok, G.S., Lee, A.H. (2007). Green tea and stroke prevention: emerging evidence. Complementary therapies in medicine 15(1): 46-53. Rogers PJ, SmithJE, HeatherleySV and Pleydell-PearceCW, Time for tea: Mood, blood pressure and cognitive performance effects of caffeine and theanine administered alone and together. Psychopharmacology 195:569–577 (2007). Lyon, M.R., Kapoor, M.P., Juneja, L.R. (2011). The effects of L-theanine (Suntheanine(R)) on objective sleep quality in boys with attention deficit hyperactivity disorder (ADHD): a randomized, double-blind, placebo-controlled clinical trial. Alternative medicine review: a journal of clinical therapeutic 16(4): 348-54. Sayama, K., Lin, S., Zheng, G., Oguni, I. (1999). Effects of green tea on growth, food utilization and lipid metabolism in mice. In vivo (Athens, Greece) 14(4): 481-4. Yamada, T., Nishimura, Y., Sakurai, T., Terashima, T., Okubo, T., Juneja, L.R., Yokogoshi, H. (2008). Administration of theanine, a unique amino acid in tea leaves, changed feeding relating components in serum and feeding behavior in rats. Bioscience, biotechnology, and biochemistry 72(5): 1352-5. Matsumoto, K., Yamada, H., Takuma, N., Niino, H., Sagesaka, Y.M. (2011). Effects of green tea catechins and theanine on preventing influenza infection among healthcare workers: a randomized controlled trial. BMC complementary and alternative medicine 11(1):15. Kurihara, S., Hiraoka, T., Akutsu, M., Sukegawa, E., Bannai, M., Shibahara, S. (2010). Effects of L-cystine and L-theanine supplementation on the common cold: a randomized, double blind, and placebo-controlled trial. Journal of amino acids 2010: 1-7. Murakami, S.; Kurihara, S.; Titchenal, C.A. ; Ohtani, M. Suppression of exercise-induced neutrophilia and lymphopenia in athletes by cystine/theanine intake: A randomized, double-blind, placebo-controlled trial. J. Int. Soc. Sports Nutri. 2010, 7, 23. Miyagawa, K.; Hayashi, Y.; Kurihara, S.; Maeda, A. Co-administration of L-cystine and L-theanine enhances efﬁcacy of inﬂuenza vaccination in elderly persons: Nutritional status-dependent immunogenicity. Geriatr. Gerontol. Int. 2008, 8, 243–250. Kawada, S.; Kobayashi, K.; Ohtani, M.; Fukusaki, C. Cystine and theanine supplementation restores high-intensity resistance exercise-induced attenuation of natural killer cell activity in well-trained men. J. Strength Cond. Res. 2010, 24, 846–851. Food and Drug Administration (FDA) CFSAN/Office of Food Additive Safety. Agency Response Letter GRAS Notice No. GRN 000209. GRAS Notice Inventory of L-Theanine, 2006. Effects of chronic l-theanine administration in patients with major depressive disorder: an open-label study. Hidese S, Ota M, Wakabayashi C, Noda T, Ozawa H, Okubo T, Kunugi H. Acta Neuropsychiatr. 2017 Apr;29(2):72-79. doi: 10.1017/neu.2016.33. Epub 2016 Jul 11.
da Silva Pinto, M. (2013). Tea: A new perspective on health benefits. Food Research International 53(2): 558-67. Inhibition by theanine of binding of [3H]AMPA, [3H]kainate, and [3H]MDL 105,519 to glutamate receptors. Kakuda T, Nozawa A, Sugimoto A, Niino H. Biosci Biotechnol Biochem. 2002 Dec;66(12):2683-6.